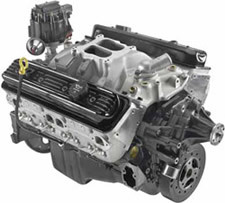 The Fast Burn 385 Base crate engine is delivered with an aluminum dual-plane intake manifold, HEI distributor, cast iron water pump, damper, and flexplate. You only need to add a carburetor, fuel pump, starter, and plug wires to fire it up. 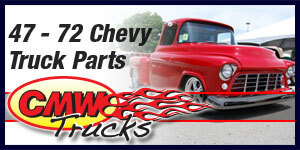 All of these parts can be purchased from your GM Performance Parts dealer. Comes with 12.75" externally balanced automatic transmission flexplate; change to externally balanced flywheel for manual transmission applications. See chart on page 171.